1. 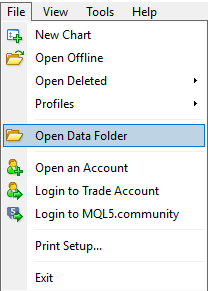 Close MT4 and create a backup copy of the MT4 ‘profiles‘ folder (File-> Open Data Folder->profiles). This folder contains all settings and charts with set-files loaded. 3. If all settings have been reset to default values (for example, Magic=50220), close MT4 and restore the ‘profiles‘ folder from the backup. I recommend attaching the EA to a chart from the ‘Experts‘ folder. To do this, copy ‘Belkaglazer.ex4‘ file from ‘MQL4\Experts\Market‘ to ‘MQL4\Experts‘ folder. This will help avoid issues when updating the EA because MT4 will update the .ex4 file that is not used for live trading. – Added ‘IntradayMR‘ and ‘PreviousDayHL‘ strategies. – Added a new PCh mode – ‘Inclined_Lines‘. – If ‘Balance’ set to a negative value, then the EA calculates lot sizes based on the account equity. – Fixed a lot of minor bugs. ‘BeforeEventMin‘, ‘AfterEventMin‘, ‘DisplayEvents‘ parameters. The News Filter allows you to backtest the impact of any news event and select various news data providers. – Added ‘UseSettingsFile‘ parameter. 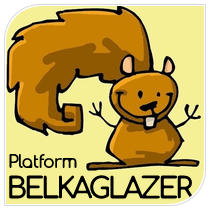 Extra settings managed via belkaglazer.ini config file: ‘EAProtectionFilter‘, ‘ExportEquityToCSV‘, ‘ExportEquitySeparator‘, ‘AutoConstructionEquityCurve‘, ‘UseCustomParameterForOptimization‘, ‘DangerousMM‘. – Added ‘Dangerous_MM‘ parameter. Allows you to add various dangerous types of Money Management (Anti-Martingale, Martingale, Pyramiding, Averaging) to any strategy. Dangerous MM is a position sizing method that calculates lot sizes based on the latest trading results. Added the related parameters: ‘MaxNumberOfSteps‘, ‘Multiplier‘, ‘CustomMultiplier&Steps‘, ‘MinStepValuePip‘, ‘ComputeDrawdown‘, ‘TP_Calculation_Method‘, ‘SL_Calculation_Method‘. ***All my signals, strategies and set-files do not use dangerous elements of Money Management. – Added backup URL to determine GMT offset.